The team at Apollonia House Dental is led by Dr Rob Sivertsen. 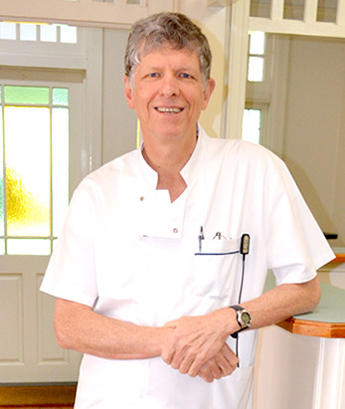 With over 30 years in the dental profession, his dedication to delivering a modern dental service on the foundations of old-fashioned values has seen his expertise primarily committed to just two dental practices; 15 years in Harare, and now another 15 dedicated to Toowoomba’s Apollonia House Dental. Originally from Zimbabwe, Rob Sivertsen, BDS completed his dental studies in 1985 at the University of Witwatersrand in Johannesburg, South Africa. After his studies, he returned home to Zimbabwe to work in the public health system for two years, before working for a private dental practice. He took over the ownership of that practice, and spent 15 years serving the local community before migrating to Australia, in 2002. Moving to another continent and setting up a home with a young family is a serious decision, so Rob had done a fair amount of research and some travelling before deciding that Toowoomba would be an ideal place to settle. Having made the commitment to move Rob and his family moved straight to Toowoomba. Rob continued his dental career in Toowoomba working in a combination of private practice as an employed dentist, and the public health service, before buying Apollonia House Dental from Dr Ken Gover in 2003. Patients of the practice are guaranteed to see Rob at each and every visit and this enables him to create long-term relationships based on mutual respect. He believes in offering modern, but proven, dentistry, whilst being committed to those old-fashioned values that his patients appreciate. Most importantly, he takes the time to listen, ask questions, and offer his patients a clear understanding of the different options that are available to help them reach their dental health goals. Founded on an enjoyment of the variety of general dentistry, Rob has a strong commitment to keeping up-to-date in his chosen field. His approach is to only focus on evidence-based treatment that has been shown to improve the oral health of patients, and prefers techniques and materials that offer long-lasting results. He is comfortable discussing the different treatment options available with patients, along with an honest appraisal of the advantages and disadvantages of each including the respective cost benefits. Dr Rob Sivertsen is passionate about community dental health and education, and over the course of several years has worked together with local government representatives and state politicians in an effort to optimise the water fluoridation of our city. He recognises that a role of every health practitioner is to prevent disease, as well as to provide help when necessary. In addition to running his practice, Rob has been a dedicated member of his professional associations, including being president of the Dental Association of Zimbabwe, and Regional Councillor representing Toowoomba and the west for the Australian Dental Association Queensland branch. He maintains an active interest in the activities of the ADA. He has served on the boards of the Downs Club as well as the Fairholme School Foundation. He is a strong believer in maintaining enthusiasm with new blood on boards and committees and actively encourages the next generation to become involved. Rob’s expertise is matched by his commitment to the traditional propriety of personalised service, taking time with patients and fully honouring the patient-doctor relationship. He understands the pressures of modern living, and realises that busy schedules can push your health, and the health of your mouth, into second place. All of the staff at Apollonia House Dental practise non-judgemental assessments, with the sole goal of getting you back on track towards oral health and comfort. Schedule an appointment with Dr Sivertsen today.